You normally can't tell if a water heater is malfunctioning by looking at it. But if it has an active leak or the temperature and pressure (T&P) relief valve is spouting, you'll be able to spot that. The main indicators of trouble usually come from the hot water faucets in your house. Cold or colder-than-normal water from all the faucets could mean the water heater is off, and that could be for a number of reasons. Yellow or brownish discoloration and low flow often signal scale and rust buildup in the tank. When you only notice hot water problems at one faucet, that faucet is usually responsible, not the water heater. You wait and wait for the water to turn hot, but lukewarm is the best you get. There's a good chance the unit is off. If it's an electric water heater, check the breaker in the panel and reset it if it has tripped. If the breaker trips again, there's probably a short in one of the water heater elements. It's a fairly easy job to test and replace a water heater element, but because of the danger of shock, it's probably best to call a service technician to perform an electric water heater repair. 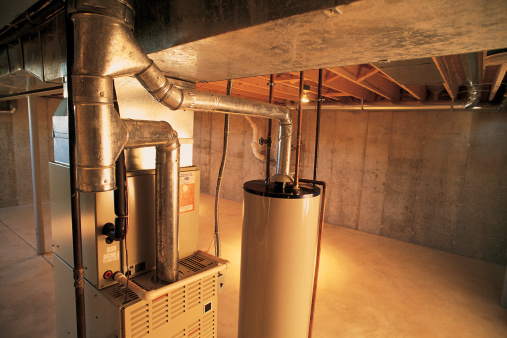 Most gas water heaters have pilot lights, and the pilot may have gone out. You can relight the water heater pilot yourself, following the instructions on the front of the tank. If the water heater pilot comes on and won't stay on, it's probably time for a new thermocouple. You can replace the water heater element yourself by using a wrench. Just be sure to shut off the gas before you do it. If the water heater pilot won't come on at all, check the gas. 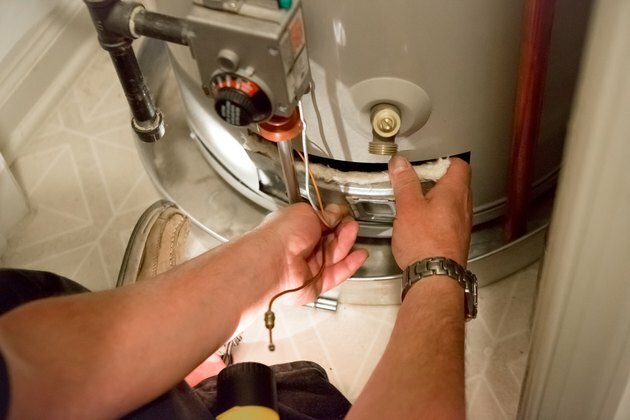 If it's on, you may need to clear an obstruction from the pilot tube of your gas water heater. Whether you have a gas or electric water heater, you can adjust the water temperature using the control dial on the front of the tank. You might try turning this up a notch or two if your water runs warm, but not hot. 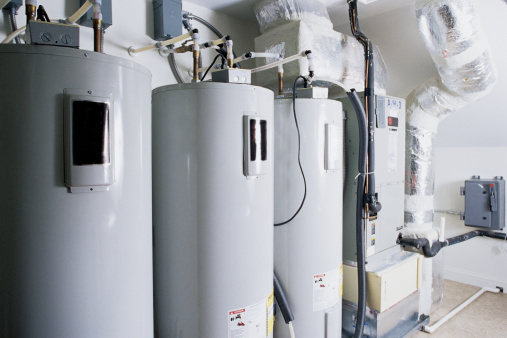 As water heaters age, they collect mineral debris from the water, as well as corrosion from internal parts. This collects on the bottom of the tank, interfering with heating and water flow, turning the water yellow or brown and producing disagreeable odors. The tank will probably be making popping or crackling sounds as air trapped in the sediment escapes. This type of water heater repair requires you to flush the tank. Let out all the water and allow cold water to flow through for several minutes. In severe cases, it's a good idea to fill the tank with water, pour in a gallon of vinegar and let it sit overnight to dissolve scale and rust. Flush again the next day, then refill the tank and power it up. You should notice a big improvement. If you see water on the floor around the water heater, you need to do a careful inspection to see where it is coming from. If the tank is old, and you can see water leaking from a seam, it's time for a new water heater. Corrosion that advanced can't be repaired. On the other hand, the water may be coming from the T&P valve, which is doing its job and releasing pressure that has built up to a dangerous level. Turn down the temperature control to see if that corrects the problem. If it doesn't, turn off the heater and replace the T&P valve. If the new valve continues to spew steam, you've got a potentially dangerous problem that needs professional attention. You should not perform a water heater repair in this case. Instead, turn off the water heater and call a plumber.